Dense, Italian-style gelato and summery sorbetto in downtown Laguna Beach. : Gelato Paradiso serves Italian-style gelato in a quaint little storefront inconspicuously tucked in the midst of downtown Laguna Beach. 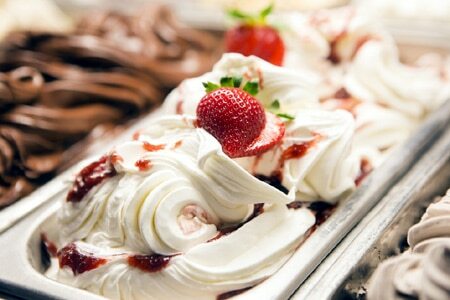 The gelato comes in cakes, shakes and cones, but most choose to eat it the Italian way in paper cups with small spoons. Try the Sicilian pistachio, mint chip or noci di Sorrento. Feeling fruity? Summery sorbetto means flavors like green apple, pomegranate and peach.